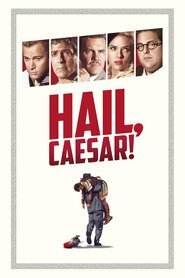 Overview... Capitol Pictures’ biggest star and the lead in their newest, biggest epic: Hail, Caesar. But during a take on the Hail, Caesar set, Baird takes a gulp of a drugged drink and wakes up miles away, at the beach, surrounded by members of something called The Future. His kidnapping isn’t just bad news for Baird – everyone at Capitol is hoping he can be brought back safe. It’s up to Hollywood fixer Eddie Mannix to make it happen. Personality... handsome, simple, and confident. Baird is the most demanding prima donna in a town full of them. But he has a strong following and dammit, he can open a picture like no one else. But like many others in Hollywood, Baird has a few secrets that could have led to his kidnapping, including who gave him his big break and how. Baird Whitlock's popularity ranking on CharacTour is #4500 out of 5,000+ characters. See our top-ranked characters and read their profiles.